Facial and head pain can be a feature of a wide array of disease entities across several medical domains. Time course and periodicity of pain, location, quality, and comorbidities are just a few of the factors that allow formation of a differential diagnosis. In many cases, diagnosis and management of pain symptomatology can be accomplished on a clinical basis that does not require imaging. In other instances, imaging plays a crucial role in diagnosis and treatment planning. 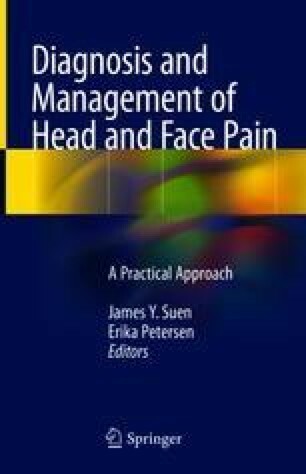 For this chapter, we focus attention on disease entities in which imaging is a key component of the workup and/or management of pain, namely, some forms of headache and trigeminal pain. Other entities that may cause facial pain, such as pain of dental origin, will be thoroughly covered in a separate section. In each section, our goal is to discuss the indications for imaging, preferred modalities and techniques, and impact of imaging on management and/or treatment. Douglas A, et al.. American College of Radiology ACR Appropriateness Criteria® Headache. Available at: https://acsearch.acr.org/docs/69482/Narrative/. Accessed 4 April 2017.